Merriam-Webster defines a matchmaker as “one that arranges a match; especially: one who tries to bring two unmarried individuals together in an attempt to promote a marriage.” The practice has been around for hundreds of years, and it’s only improved. Matchmaking has also been showcased or referenced in popular movies, including “Hitch,” “Mulan,” and “Fiddler on the Roof,” and other industries, like pet adoptions, have started using some of the same strategies to help their clients. If you’re thinking about hiring a matchmaker and want to know what it’s all about, here are nine advantages you’ll want to consider. With a matchmaker, you don’t have to choose between going to the gym or to a bar to try to meet someone. Your matchmaker can find you matches while you’re working out, partying with friends, busy at the office, cleaning your house, walking your dog, sleeping, or whatever else you might be doing. You also don’t have to put in as much effort as you do with singles events or online dating. You don’t have to look for dating opportunities, fill out a crazy long profile, or check for and reply to new messages every night. The matchmaker takes all the work off your shoulders. Hiring a matchmaker is a great option if you’re a shy person. Because the matchmaker plays the middleman between you and your dates, introductions can be less awkward and nerve-wracking. You no longer have to get set up on blind dates by your well-meaning, but totally off, friends or approach someone while you’re out and about, not knowing if they’re single. Everyone you’re getting set up with is looking for a date or relationship, and you two are given a little bit of information about each other by the matchmaker before the first date. So breaking the ice shouldn’t be a big deal. Most professional matchmakers have been in the industry for decades. Some have even said that they’ve been pairing people since they were kids — it was just in their genes. A lot of matchmakers have been certified and trained by the Matchmaking Institute. In fact, the best matchmakers have attended the Matchmaking Institute — where they receive official certification in the profession and learn how to hone their skills. Knowing that a matchmaker has been trained, you can rest assured that he or she is someone you can trust. But remember to always check the matchmaker’s website as well as Google to see what their background and qualifications are before hiring them. Typically, a matchmaker will kick the process off with a free consultation. This is when you’ll tell them about yourself and the kind of date or partner you’re interested in — including your hobbies, education, career, family life, and personal life as well as your preferred age range, gender, appearance, and religion. You two will also go over how much it’ll cost, how many introductions you’ll get and how often, how you want to be contacted, how you can contact them, how you want to give feedback, and so on. It’ll all be very personalized to your budget, schedule, and other needs. When you go to a club, festival, or anywhere else with the intention of meeting someone for dating, it’s going to be hit or miss. You might strike out, you might not find someone compatible, or you might not meet anyone new at all. With a matchmaker, dates are guaranteed. Some matchmakers promise to set you up on one date a week or on a monthly basis or what have you. You’re not going into it blind. See if the matchmaker you’re looking into has a How It Works page or something similar on their website, so you can get an idea of how many dates to expect. One of the best parts about working with a matchmaker is that you can be part of every decision if you want to be, or you can let them take the driver’s seat. Usually, before every date, you can give them your thoughts. And, after every date, you can tell them how you think it went and if y’all need to make adjustments. You’ll get to tell your matchmaker what kind of person you’re attracted to and how each date went. Perhaps the last date works too much, doesn’t love to travel as much as you do, or isn’t the biggest fan of pets. All of this information can be relayed to the matchmaker, and then he or she will go back into his database of singles to find someone who more accurately matches your preferences. While your feedback is going to be very important to your matchmaker, he or she will push you to go beyond your usual type as well, if you have one. You don’t want to be too stuck in your ways. A majority of matchmakers have good instincts, and they’ll get you to think outside of the box and give people the benefit of the doubt. Does your date really have to be a blond, a doctor, or only live within 20 minutes of you? Probably not. But does a prospective date need to agree with you on religion, politics, or children? Probably. Go into matchmaking with an open mind and knowing what your real dealbreakers are. Matchmakers are often multitaskers, so they’ll offer additional services besides matchmaking like makeovers or dating coaching. They can help you figure out what to wear, how to do your hair, how to improve your diet and exercise routine, where to go on the date, topics to discuss or avoid, how to follow up after a date, and things like that. If you’re interested, your matchmaker can take a holistic approach and not just focus on your dating life but your life as a whole. Matchmaking can sometimes be safer than meeting a stranger at a bar or on an online dating site — because the matchmaker often runs background checks on his or her clients and will never give out your personal information (e.g., last name, phone number, or email) until you tell them to do so or you choose to do so yourself. 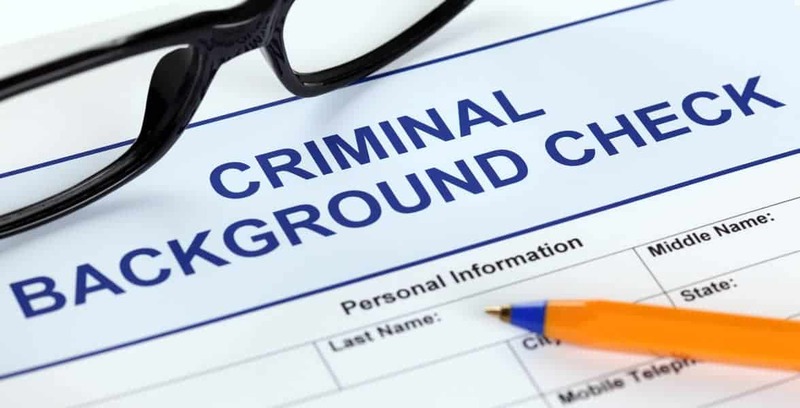 A majority of matchmakers run background checks to ensure clients are who they say they are. Again, you’ll want to read the matchmaker’s website or call the matchmaker to see if they offer this service, but we’ve found that most of them do. Your safety is their top priority. We’ve provided a lot of facts about matchmaking for you to think about, so now it’s up to you to make the most informed and best decision for you. Another good place to start is by checking out a matchmaker directory to see the options in your area. Remember, though, that a lot of matchmakers offer a free initial consultation, so you don’t really have anything to lose at that first meeting. Good luck!